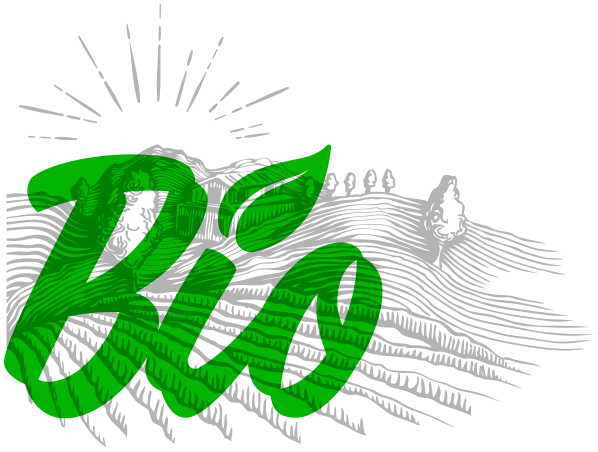 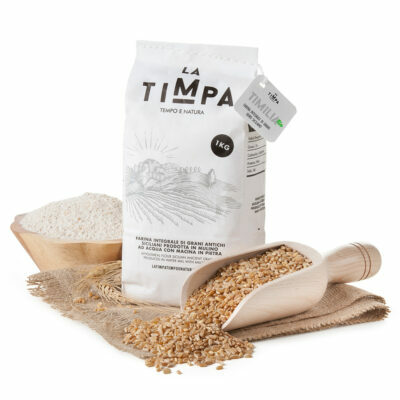 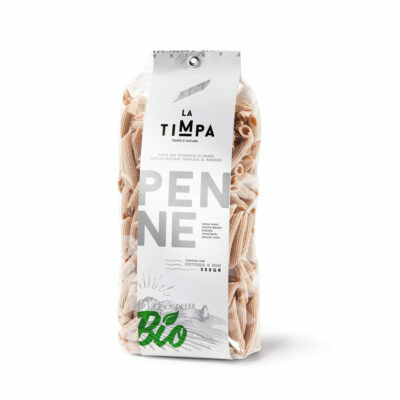 La Timpa organic farm lies in the carob valley near the Hyblaean region, and uses its own completely renovated old water mill and grinding stone, in the Santa Domenica valley in Ragusa. 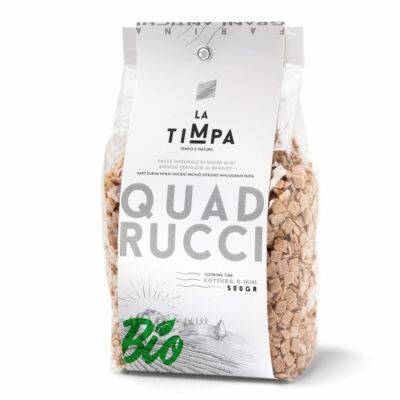 The flour produced is wholemeal and cold milling maintains its wheat germ active, which is ideal for breadmaking and the production of traditional Ragusa products such as cakes and cookies. 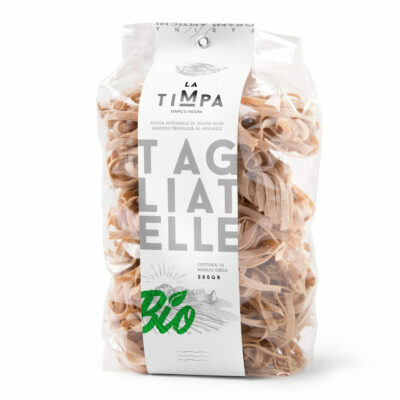 Strictly organic saffron is supplied in pistils and is dried at low temperature. 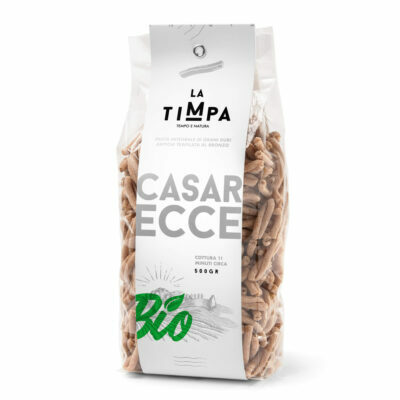 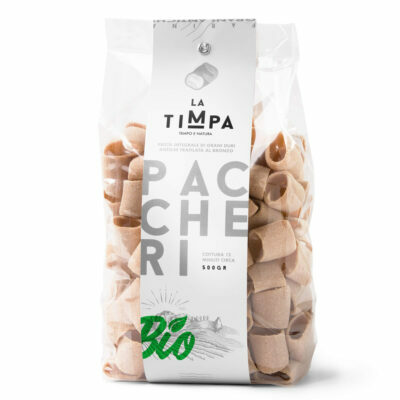 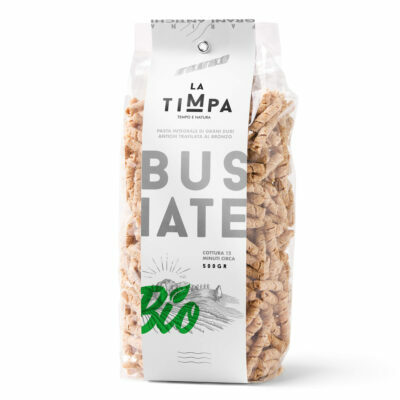 Pasta extruded through bronze, rough and porous to the taste, nutritious and rich in fibre and protein, slow dried at low temperatures to keep intact all organoleptic properties of the grain and its germ. 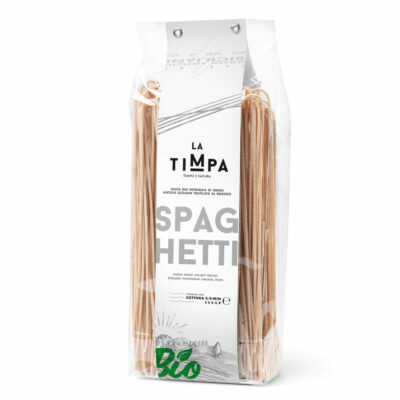 Highly digestible, intense and flavour and slightly sweet, good resistance to cooking. 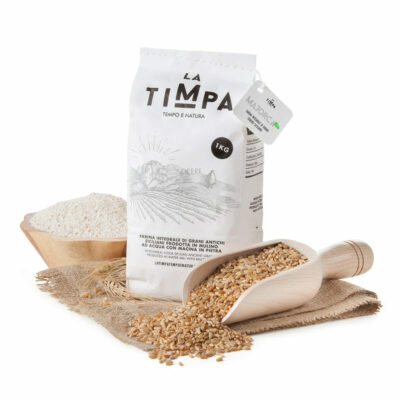 Organic wholemeal flour sicilian ancient grains produced in water mill with millstone.